Great location and beautiful views of the cathedral. The apartment was very quiet even though it was in the middle of a very busy and active neighborhood. 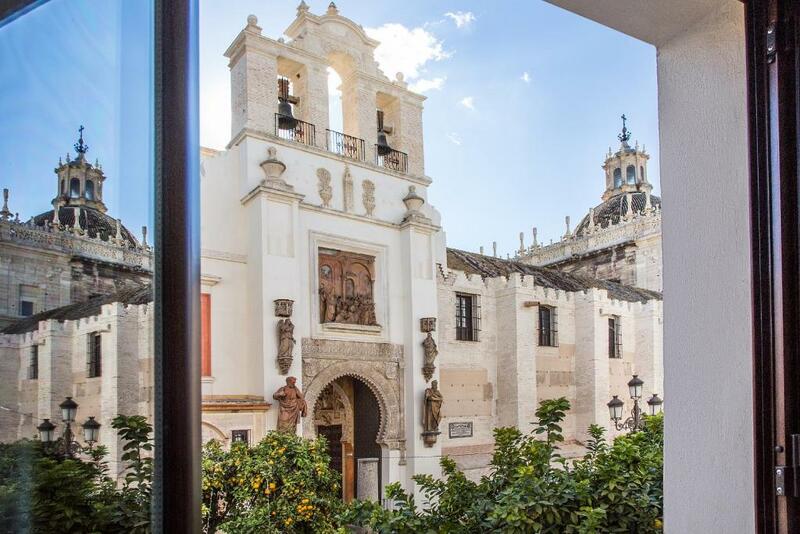 The location of this two bedroom apartment was the best that Seville has to offer! Unbelievable view of Cathedral. Fully equipped kitchen upstairs, love the third floor terrace. Dedicated elevator that takes you right into the apt. The location, view and the facilities of the apartment. Only pity was we didn’t have much time to sit down and enjoy the bacolny. The location was fantastic directly opposite the cathedral in the heart of town hence the view from the living room balcony and fully private roof top terrace was unique and amazing. This apartment has real character and was well equipped with everything you need. Transfer from train station to apartment was excellent. The views were great. A restaurant and small grocery store right outside the door. Very straightforward direction, very professional and the location was the very best spot to be for us. The view from our apartment was amazing, everything was lovely and clean and the apartment was central for everything. Our extra large balcony was fabulous overlooking the cathedral which made it extra special. Well worth every penny! 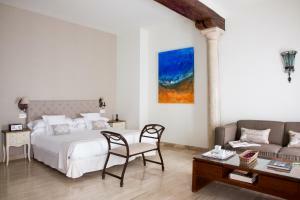 Lock in a great price for Puerta Catedral Apartments – rated 9.1 by recent guests! Puerta Catedral Apartments This rating is a reflection of how the property compares to the industry standard when it comes to price, facilities and services available. It's based on a self-evaluation by the property. Use this rating to help choose your stay! One of our best sellers in Seville! 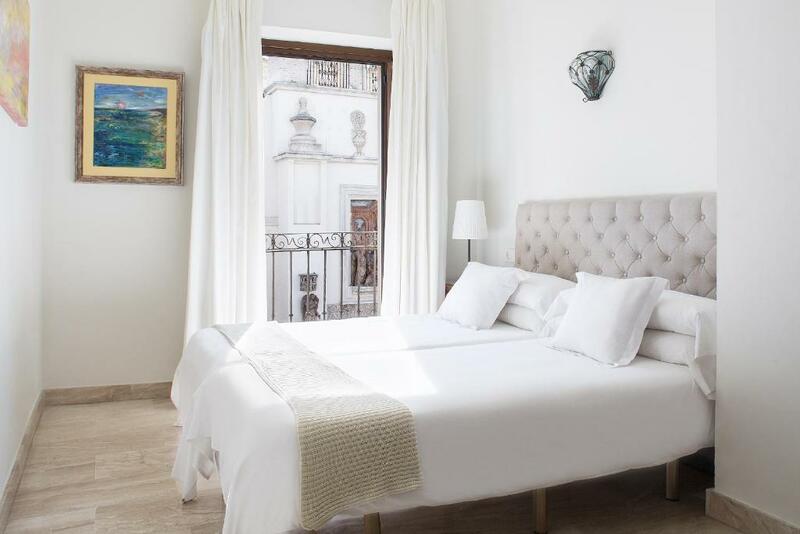 Puerta Catedral Apartments and studios are set in central Seville. 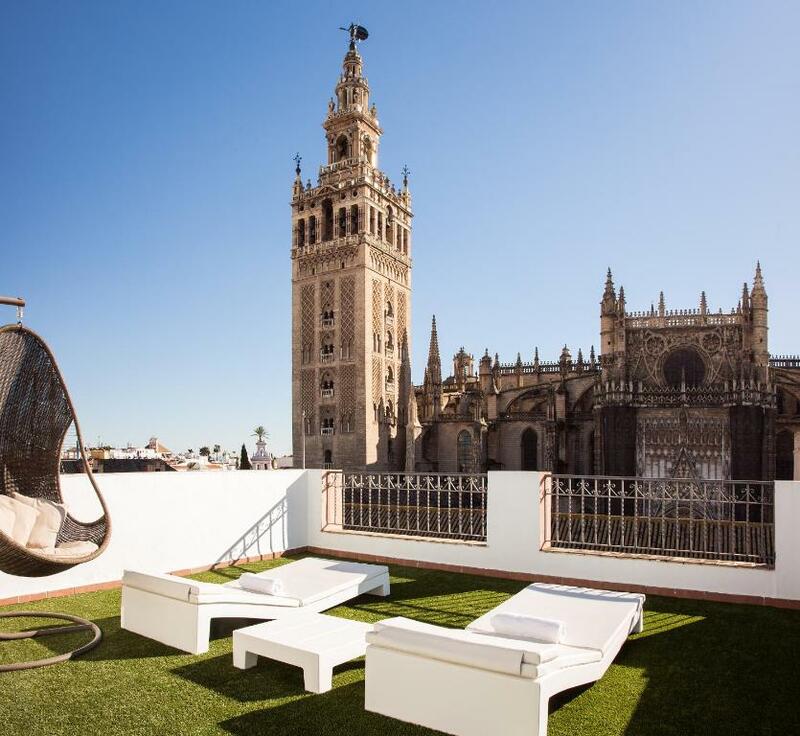 They all have air-conditioning, satellite TV and free Wi-Fi, and some have views of the Cathedral and the Giralda Tower. Each apartment has elegant wood and marble floors. Some have terraces or balconies with city views. 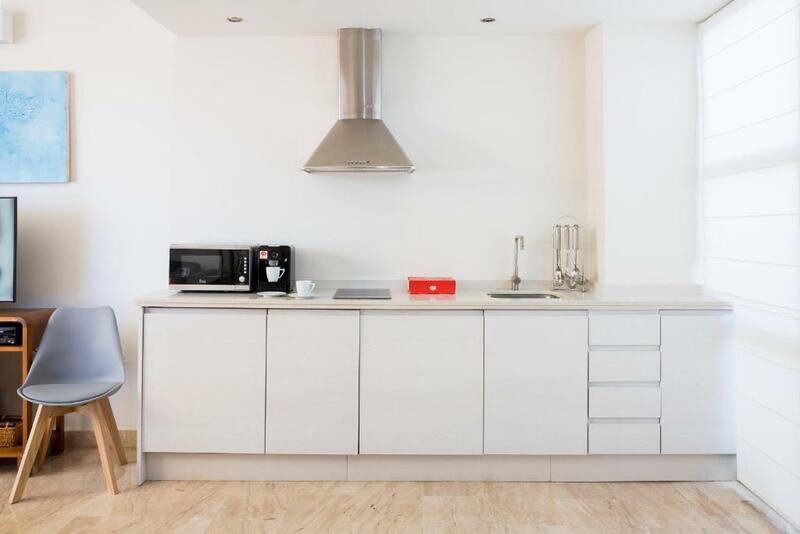 The modern kitchens have a washing machine, ceramic hob and microwave. Apartments also offer tea- and coffee-making facilities. The area around the apartments has plenty of restaurants and tapas bars. A large range of shops can be found within a 10-minute walk. When would you like to stay at Puerta Catedral Apartments? This loft-style suite is on Calle Alemanes and faces the cathedral. It has a bedroom, a lounge-diner with sofa bed, a kitchen and a bathroom with hydro-massage shower. Access to the suite floor via elevator. 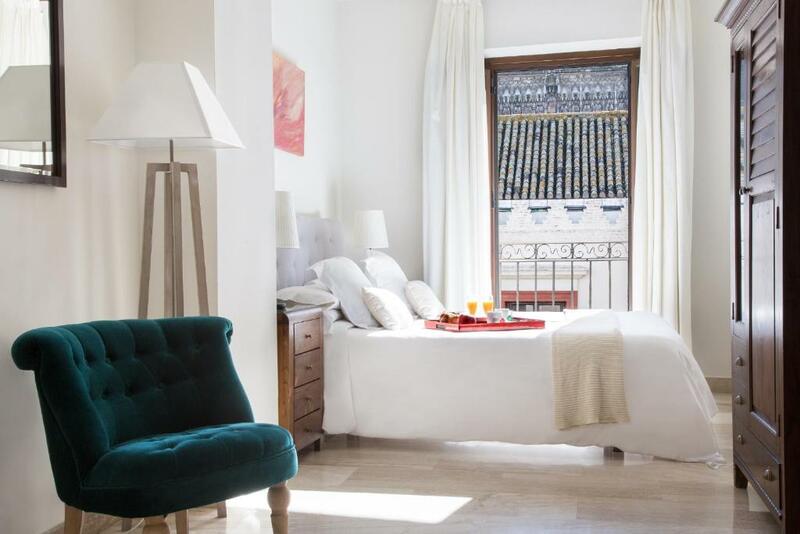 This duplex apartment on Calle Alemanes has 2 bedrooms both with balconies and views of the Cathedral. It has 2 bathrooms (one with hydromassage shower), a lounge with double sofa bed and a kitchen and dining area. Private elevator access to the apartment. 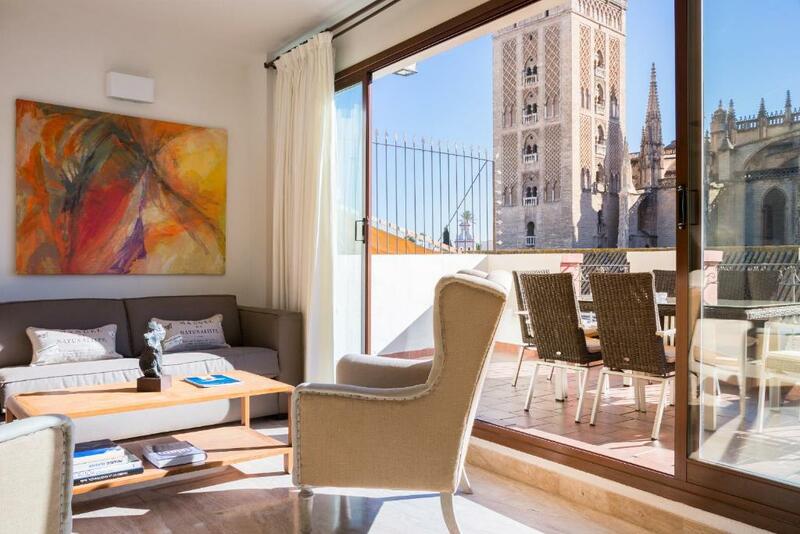 The apartment also has 2 private furnished terraces overlooking the Cathedral and the Giralda. Gestionamos el establecimiento desde 2004. 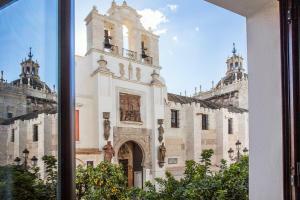 Nuestros apartamentos están situados en el entorno de la Catedral de Sevilla, un lugar privilegiado y con unas vistas expectaculares. Contamos con Servicio propio de Traslado desde el aeropuerto. Actualmente estamos incorporando nuevos servicios gratuitos para los clientes como: clases de Guitarra Flamenca, Clases de español y tours gastronómicos con un chef amigo donde tendrán la oportunidad de conocer y aprender un poco de la gastronomía Andaluza. 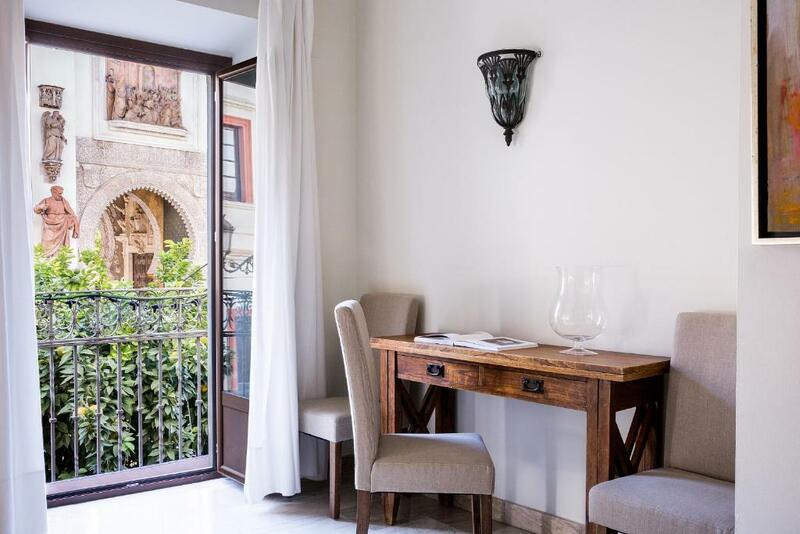 House Rules Puerta Catedral Apartments takes special requests – add in the next step! Puerta Catedral Apartments accepts these cards and reserves the right to temporarily hold an amount prior to arrival. Please note that late check-in after 20:30 carries a EUR 20 surcharge. Please inform Puerta Catedral Apartments of your expected arrival time in advance. You can use the Special Requests box when booking, or contact the property directly using the contact details in your confirmation. Please note that check-in and key collection take place at: Avda. de la Constitución, 22, 1ª Planta, Sevilla 41004. Shower base/door design leaks, requiring towels to reduce water flow and mop cleanup of bathroom floor. When checking in, one guest complained loudly that he went to the apartment address rather than coming to the reception office first. He should have read the instructions for checking in, but reading is quickly becoming a lost art. To make check-in foolproof, consider listing the reception office as the apartment address on the confirmation page. No welcome breakfast. Terrace was deceiving, emailed and advised there was a terrace but couldn’t sit out just about stand on it to look at view would have liked somewhere sit. Also did not appreciate be charged for late arrival cannot do anything about plane flights and delays !! !